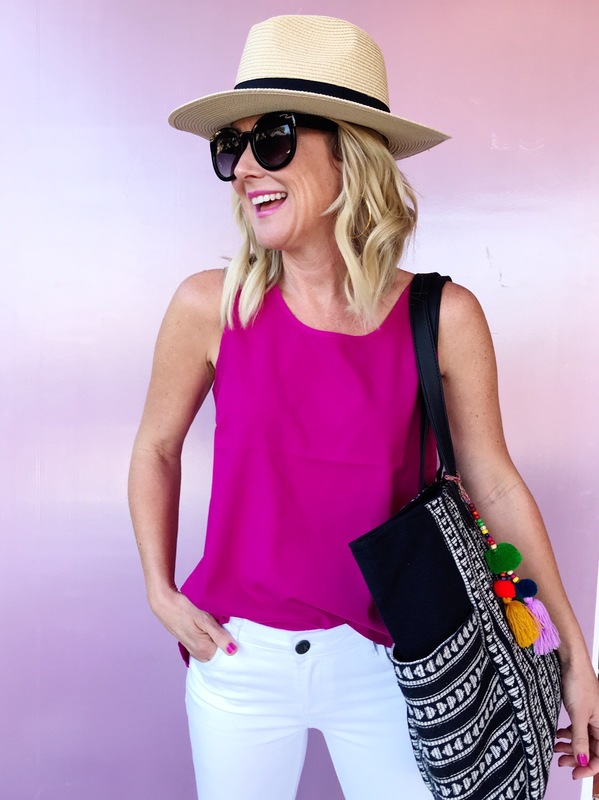 10 Darling Spring Outfits Under $50 | hi Sugarplum! Y’all…I did it again. I fell down the Walmart rabbit hole and found some crazy cute things…and most everything is under $20!! TWENTY! Now, I know Walmart isn’t for everyone…goodness knows we talked all about it in this post. 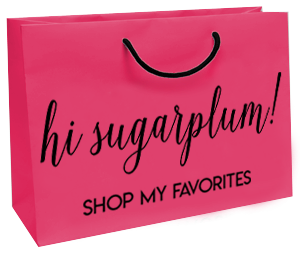 But regardless of the retailer or the name on the tag, there’s no disputing these particular pieces are darling…and worthy of your Spring and Summer wardrobe! 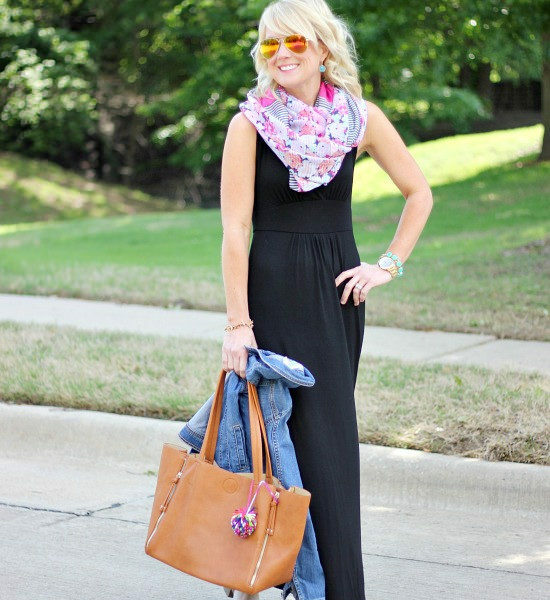 To prove it, here’s 10 fun combos, and for most of them, the entire outfit is under $50! 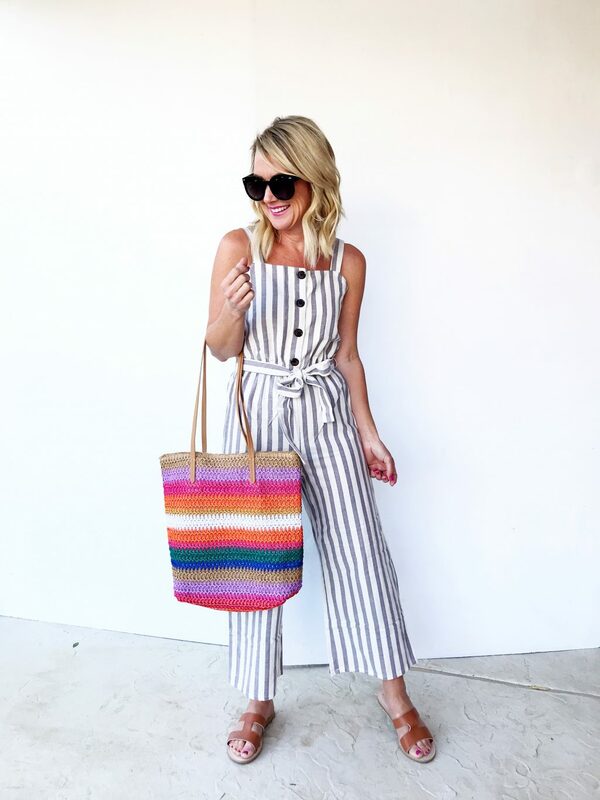 Let’s start with one of my faves, this fun striped jumpsuit. I love the tie waist and cute buttons, plus the wide legs are forgiving and comfy. It’s a sturdy, 100% cotton, and not at all sheer. 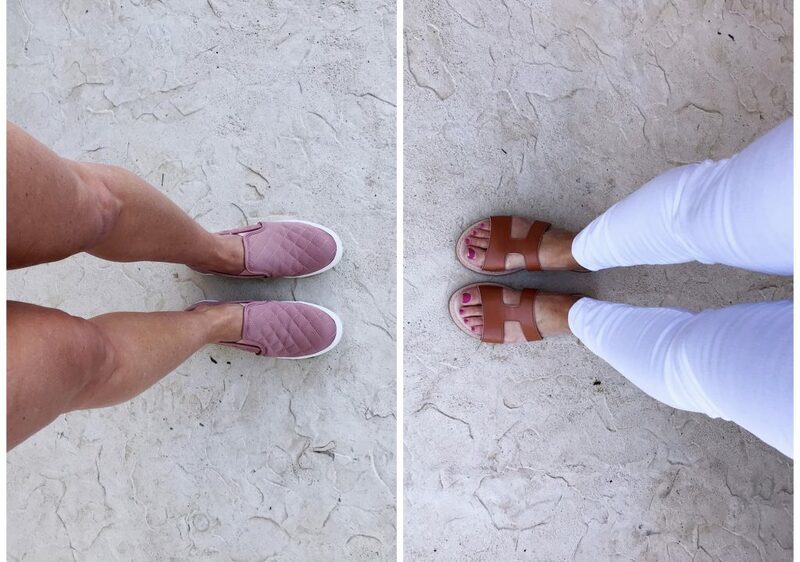 Jazz it up a little with wedges, or keep it easy with flat sandals (mine are only $7!). So cute with a jean jacket, too! Fit Tip: Runs small, size up one. I’m in a small. 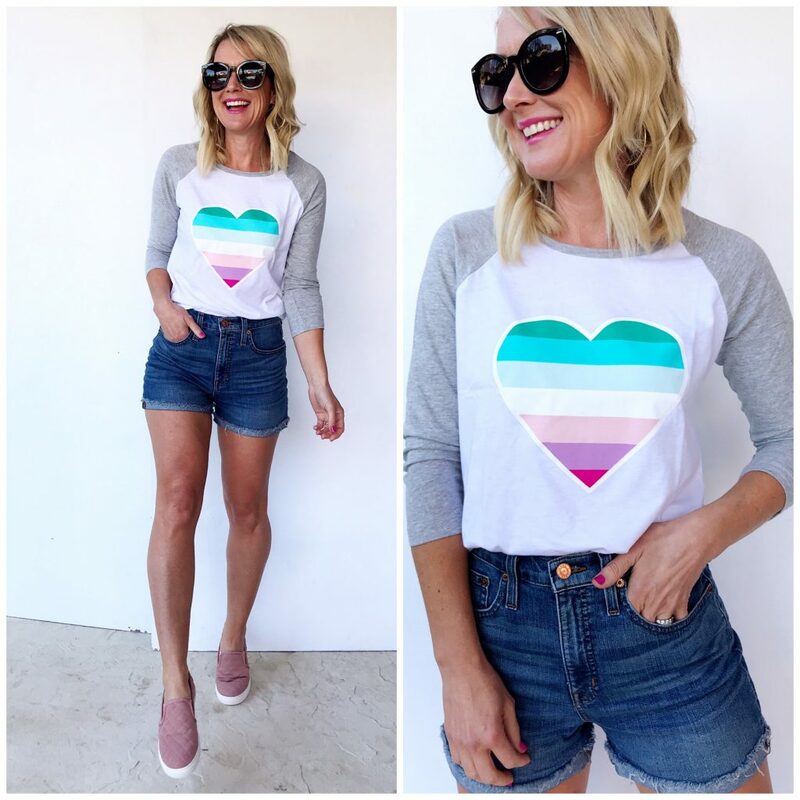 This baseball-style tee is not only adorable, but thanks to the jersey cotton, it’s crazy-soft and stretchy, too! I like that it’s a little bit cutesy and a little bit sporty. Fit Tip: True to size, I’m wearing an XS. Not a fan of the baseball style? No problem, it comes in a basic short sleeve, too. Same jersey cotton and super soft stretch. The skirt is a thick twill with fun embroidery on the back pocket. Fit Tip: Tee is true, I’m wearing an XS. The skirt is a 2. I love t-shirt dresses in Summer…so easy to throw on with sandals or sneakers, or even over your swimsuit for pool days. This tee dress is soft and stretchy jersey cotton, and while it’s not sheer, it is a little on the thin side. I’d wear it mostly as a swim cover or even a little nightie! It falls just below my knee, so I tied it up for a better fit. If you prefer your cotton tees to be thick, this one is for you!! It’s a textured cotton, that’s extra thick and sturdy (with a touch of stretch). I love the scoop neck, and slightly longer length. 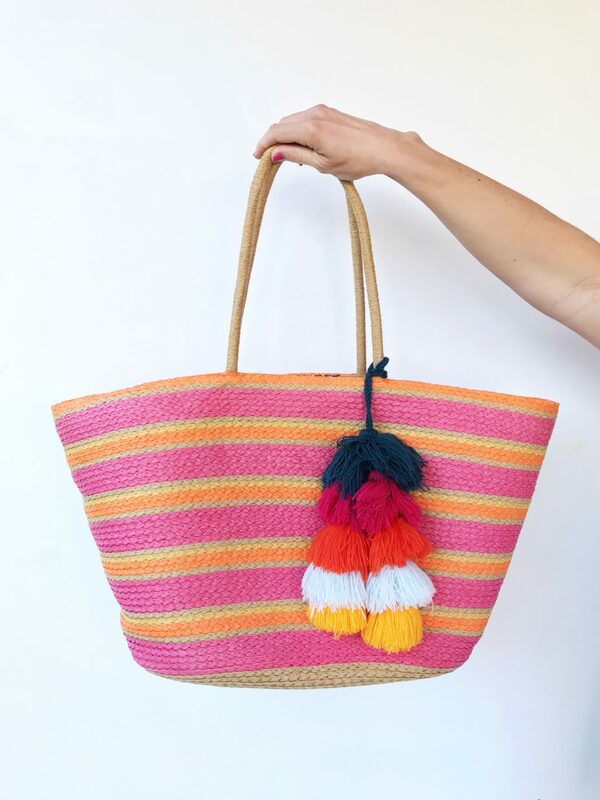 The striped tote made the perfect beach bag for our trip to Exuma! Fit Tip: I sized up one in the tee, I’m wearing a small. Still a little chilly in your area? 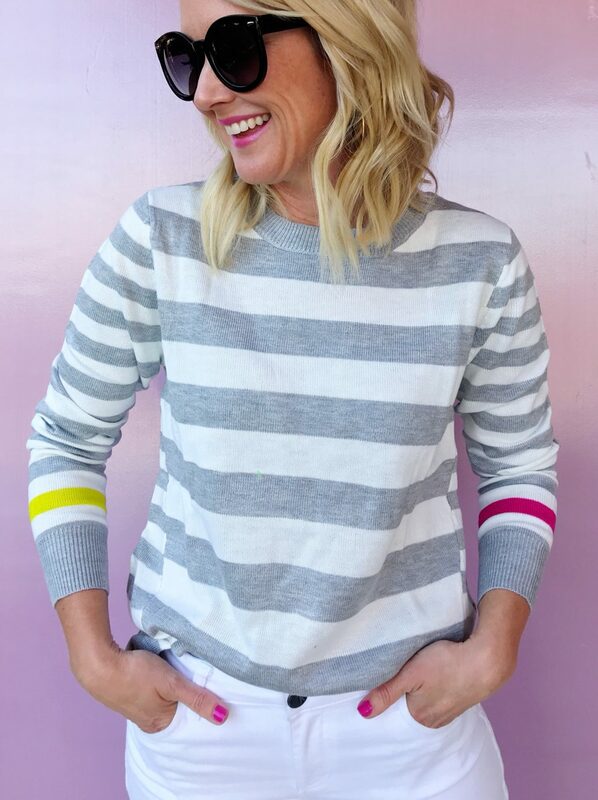 You’ll love this long sleeve pullover…a lightweight sweater with fun stripes. It comes in this gray, or a fun navy. Obviously I adore the colorful stripe on the arm. 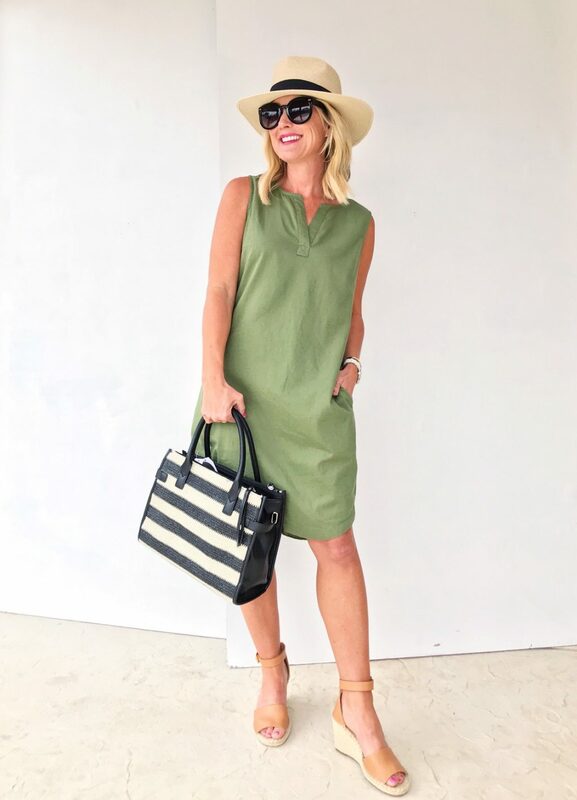 I shared this dress in stripes in this post, and couldn’t resist trying the olive. It’s unbelievable quality for the price, plus fully-lined and with pockets! 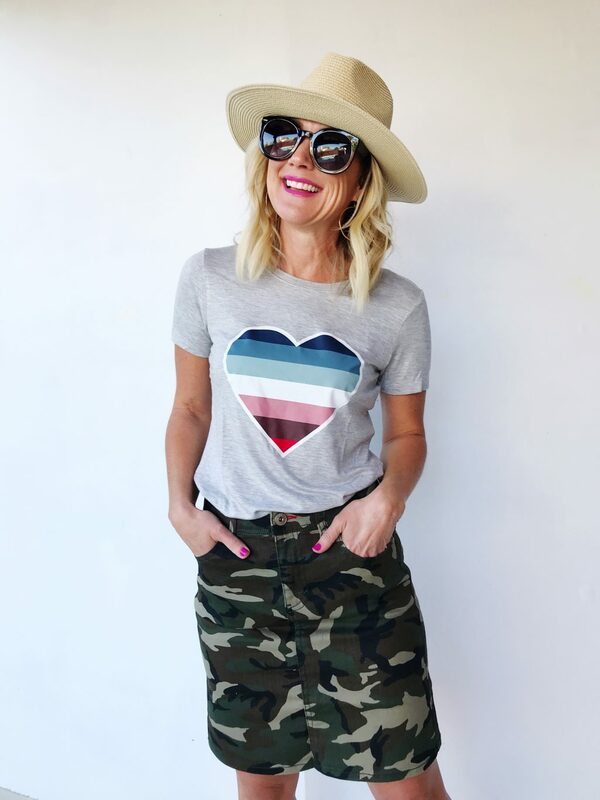 I’m quickly snatching up these pocket tees in every single color…just so good! And under $8!! 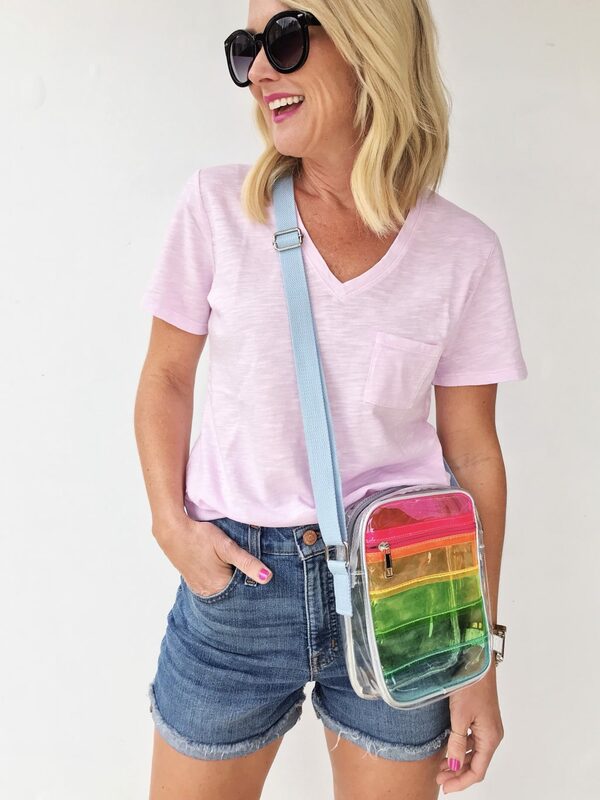 The bag is a fun pop of color, and perfect crossbody for concerts and stadium (the bag is clear!). Little Miss already swiped this from me and carried it all over NYC. 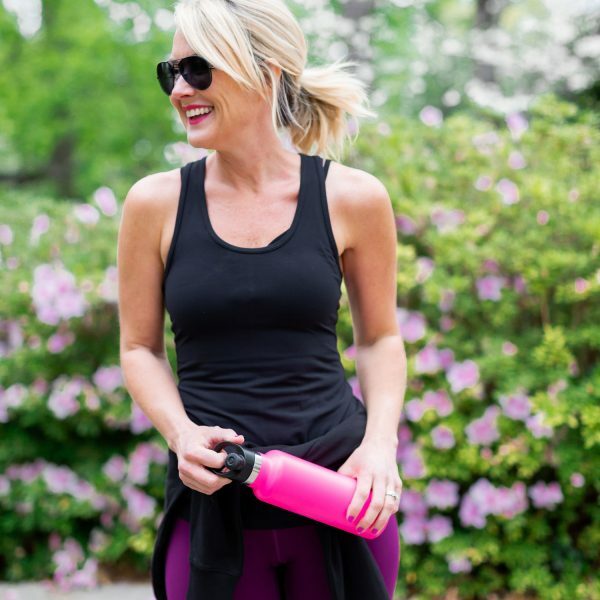 Fit Tip: I sized up one in the tee for a relaxed fit, I’m wearing a small. And finally, this basic tank is a woven rayon, giving it a lightweight, silky feel. Perfect for trousers, skirts, jeans and short…or a great base layer under jackets and blazers. 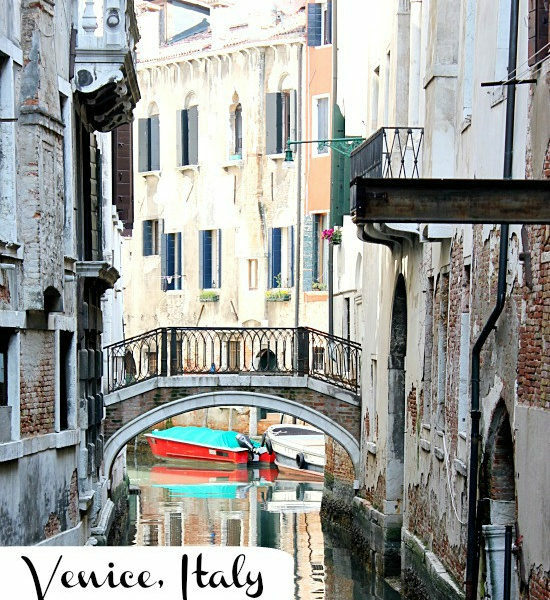 It comes in a slew of colors, but the white is sheer. Oh yeah, it’s also $6!! I found a great swim option for those of you who prefer tankinis or one-pieces! This top has built it cups and pads, with great lift and support. It’s also forgiving across the tummy, with flattering ruching on the sides. The bottoms are full coverage with cute side ties. Fit Tip: I always size up one in swim, I’m wearing small in both pieces. As for shoes and accessories, I’m totally smitten with these sneakers and slides. The quilted sneakers are similar to a popular style, but these have a touch of platform and the cushiest foot bed!! Seriously, I’d wear them for travel! The slide sandals are a chic Grecian style with padded footbed and only $7. Fit Tip: Both come in whole sizes only, so I went down half. 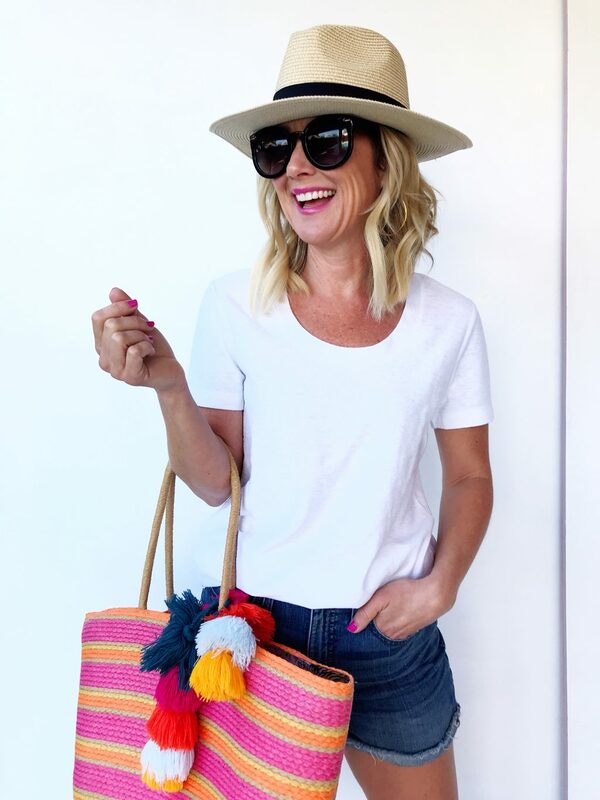 Walmart is pretty much the jackpot for Summer bags…I loved each of these! Especially the packable striped beach bag. Okay…let me hear it! What do you think about this round of Walmart finds? Are you as surprised as me, or have you known about their hidden gems for years? Several of these things I found because of your suggestions! I saw and purchased some really cute things from Walmart last summer and they were fine for one wearing or so. They didn’t wash well or ended up bagging out? The material feels scratchy. I ended up donating them. I say this as a cautionary tale, I guess. And shoes – no. I would rather pay more for quality that will last at least a full season. If the price looks too good to be true, there’s probably a reason. I think it’s fine for you to feature Wal mart, but it’s not for me. I think it’s definitely hit and miss with many of the items! Everything I share is really soft and well-made. Maybe not for 10 years, but definitely several seasons! I love all of these things! I hope you keep up your collaboration with them! Thanks for posting such affordable pieces. SERIOUSLY! Soooooooooooo many cute things!!!!!!! I’m consistently impressed! LOVE all of these options!! Thank you for sharing. Well, there’s no denying that you look good in EVERYTHING! But I love these posts- I can’t get enough of Walmart and Amazon hauls. Keep ’em coming! I agree with Katherine! I’ll see something on your blog and go to the site to look at it. You almost always look way better modeling the clothes than the original site! And I just ordered that stadium crossbody for my daughter who is heading off to college in the fall. Perfect for concerts and football/basketball games! Noticed that you included a swimsuit in your favorites list at the bottom of the post. We spend time at the lake on some occasions. I have found lakes (dirt) to be really hard on swim wear, especially with stains. A less expensive swimsuit from Walmart can be a good alternative to preserve my more expensive suits. They have a wide range of sizes and fit surprisingly well. Agreed! We go to the lake in the Summer, and I never want to wear my ‘good’ swimsuits because they’ll likely be ruined after a few trips in the lake water, but obviously still want to have a cute suit! These are perfect! That tee shirt dress is adorable! Walmart isn’t my go-to, but they have some great buys! I especially love going there for shoes. 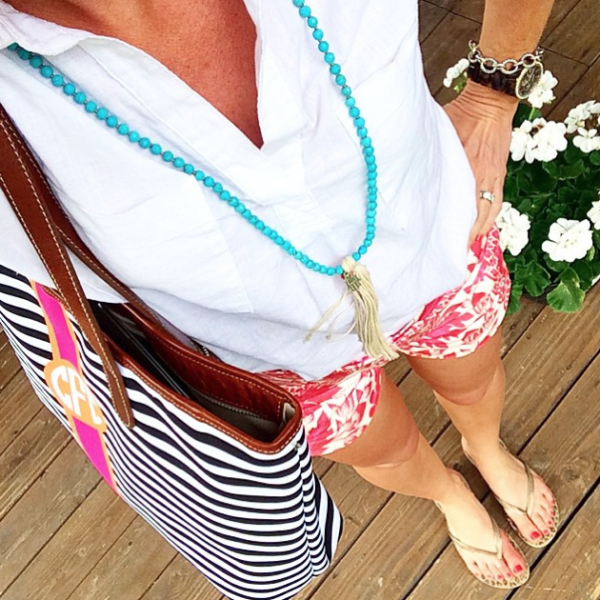 Thanks for sharing your best spring steals! These Was Mart posts by so many bloggers in the last few weeks are so disingenuine. There is no way that you and many of your peers are shopping at War Mart. I have lost so much respect for you and many other bloggers. Mine was botanical floral, and I’m hoping to get folk floral today at a different location! Looks like something you’d get at Anthro. That’s amazing, Great find!! It’s always the ‘good deals’ people seem to notice most…and I’m the type that can never resist telling them where it’s from and what a great deal! Especially with my lookalike pieces, I’m the first to blab, ‘Amazon!! !’;) I’m a chronic over-sharer! Hi! I was wondering where you got the denim shorts you’re wearing with most of the outfits above? Love them!! Hi, Cassie. 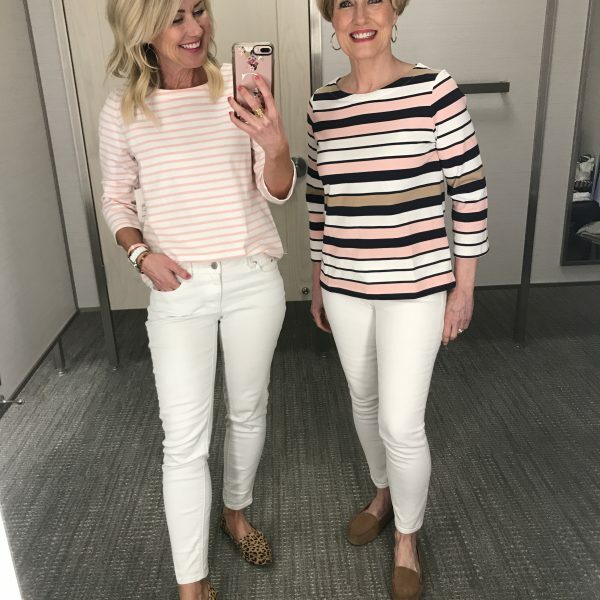 Between these adorable outfits and Drew Barrymore’s new furniture and decor line, Walmart is really stepping up its game! I’m wondering, though, if have any thoughts on the social and environmental consequences of fast fashion. As a fashion and design lover, it’s something I struggle with, and I’d be really interested in hearing your viewpoint. Thank you for sharing, Cassie. I love Target and Walmart, for some on trend pieces, that you don’t have to worry about after they have seen their day. I find a lot of clothes for girls and women, are trendy and do not endure style-wise for years anyway. Therefore, you can feel current, without investing heavily. Now a trench coat, nice boots, loafers…investment piece for sure! I worry about where these clothes are made and if child labor was involved. Fast fashion comes at a price and I’m not sure I’m willing to embrace cheap clothing if the people making it aren’t paid a living wage or are working in substandard conditions. And I also have been a little overwhelmed by ALL THE BLOGGERS suddenly telling me about their WalMart finds. I totally agree, and want to be more conscious about where and how clothes were made. But honestly, most fashion comes from the same places. These $7 tees are made next door to the $50 tees…the only difference is the name on the tag and the markup. And Walmart has definitely made a marketing push to get the word out, but it’s up to each blogger to find and share the very best things! Girl those Walmart T-shirts are the bomb! I have purchased some great straw totes from Target and Walmart and Michaels and added my own monogramed needlepointed ornament with matching wide grosgrain ribbon and my southern belle friends are none the wiser. Um, hello…sounds like someone needs an Etsy shop!!! OK. I do not understand the OMG, I will never step foot in WalMart and now I will never read your blog again. Give it a rest. Maybe some of you can afford to shop at Nordstrom for every piece of clothing in your closet, but some of us can’t. If you don’t want to shop at Walmart, don’t, but stop looking down at those of us that do. Let Cassie post something every once in a while that most of us can afford. That stripped jumpsuit is so cute!